Anyone visiting or living in Aruba knows what a smoothie (or batido) is, I hope. It’s made out of anything you can imagine, as long as the main ingredients are produce and properly pureed. Slush puppies, milk shakes and frozen cocktails are smooth, but not smoothies. Let’s try another. Smooth: yes. Produce: yes. Pureed: no. Conclusion: juice, not smoothie. Moving on to the next round of our Island Smoothie Sampling Tour, we’ll be sipping for smoothness and taste. 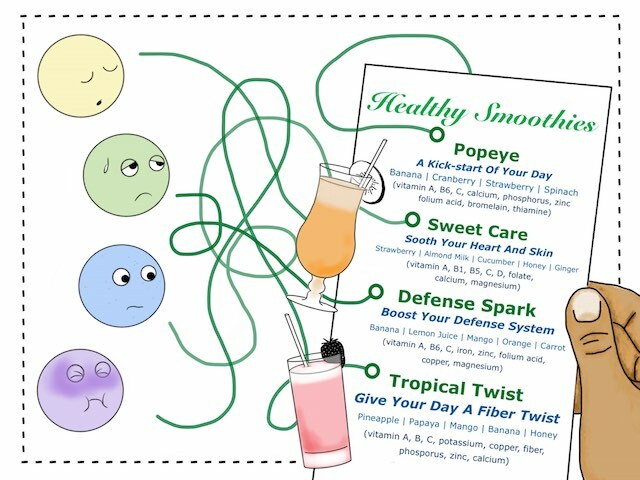 Even though taste is a matter of taste, the flavor of a fresh fruit smoothie can vary from watery to near-putrid, including an array of possibilities in between. The perfectly crafted smoothie for me personally, is made out of fresh-cut (unrefrigerated) fruit that’s naturally sweet. “No sugar, no honey, no Splenda, please.” Ice is okay, if it’s crushed into a slushy mixture that won’t clog up my straw. And since we’re talking fresh here: mangos can be hairy, pineapples stringy, watermelons seedy, and raw kale pretty coarse. What to do? I know! Turn up the speed and blend beyond recognition. Add water, milk, yogurt, fruit juice, vegetables, herbs, spices, vitamins, medicinal plants like Moringa … whatever’s available and to your liking. 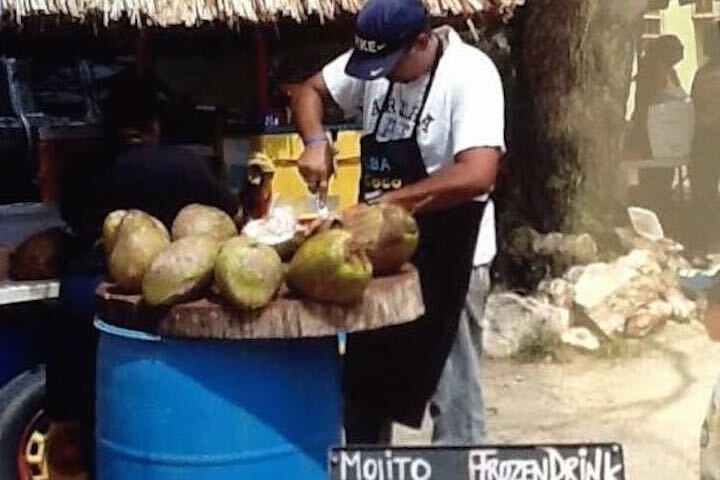 There are plenty of batido spots and snack shacks on the island offering the popular Mango, Papaya, Patia (Watermelon) smoothie, even limited local favorites like Sorsaca (Soursop) and Tamarijn (Tamarind). The challenge always (for Aruban people, likewise), is to discover The Right One. And whether you’re looking for the coolest corner, the freshest ingredients, or tropical flavors and friendly prices. For variety, exciting combinations, a tasty makeover from the inside out, head over to Manchebo Beach Resort & Spa (if you’re anywhere else). 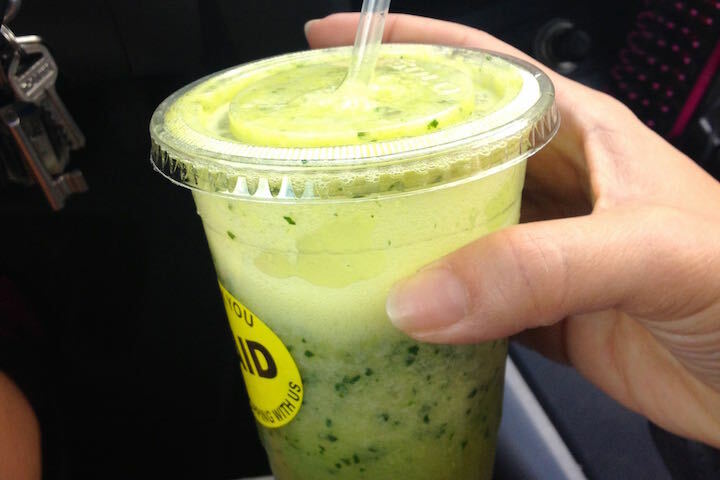 The Healthy Smoothies Menu at Ike’s Bistro and the Pega Pega Beach Bar will power-up your day, I promise. I’ve tried them all (okay, almost! I'm stuck on my favorites) and one things is sure: it works. Especially, when you’re not actively health-conscious and unaware of what a lack of nutrients feels like (till it’s compensated). Dehydrated? Intoxicated? Constipated? Impregnated?